a gilded boar on each. The Oxfordians are all a-flutter. The Oxfordians have been playing capture the castle with the “Swan of Avon” since forever. Anywhere but Stratford! is their cry. Their last feeble pretender was Oxford’s manor house at Bilton, which is sort of near a trickle which becomes the Avon. De Vere did inherit the property—along with much else that he squandered—but he never stayed there. It was sold in 1580, getting on for half a century before Jonson’s encomium. Pathetic. So when Ben Jonson apostrophized “Sweet Swan of Avon!” he meant the bard of Hampton Court: he meant Oxford. 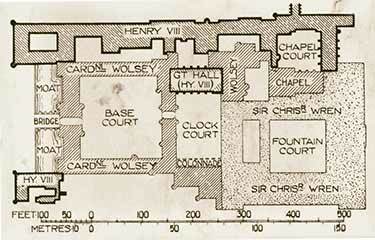 Why of Hampton Court? Why not Great Buzzard of Hedingham? Or Kite of Hackney? Because Hampton Court, Waugh argues, is the one true place--the "magical location" (sighs Hank Whittemore)—on the banks of the Thames where both “Eliza and our James” were enthralled by Shakespeare. It is the iconic bardic space, worthy of epithet. The tale begins with John Leland (1503-1552), an early Tudor antiquary who, alas! died mad. There is no questioning his passion, his energies, and his intelligence—he laid the foundations for all future work on English local history—but his quest was the invention of England. That’s invention in both senses: both discovery and fabrication. 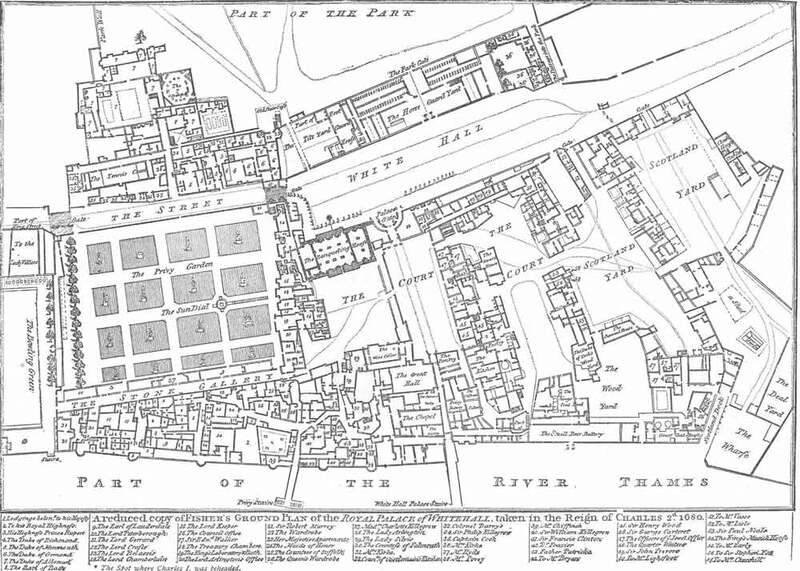 It springs from the desire for ancientry that made London “New Troy.” How? The Trinovantes (“newcomers” in their own tongue) were a great Celtic tribe living north of the Thames estuary in pre-Roman Britain. Geoffrey of Monmouth thought their lands were a city, and that its name derived from Troi-novantum, or “New Troy”: giving Britain the noblest lineage he could imagine. When reading antiquarians, one must beware of etymologies. They are so often fanciful. Books copy other books. Inventions harden into fact. Not quite. Cygnea Cantio is mute on etymology. In his commentary on the poem, Leland explained almost none of this. And that last clause refers to another Avondunum entirely, a "famous city amongst the Simeni." Cygnea Cantio itself is a gloriously dotty Latin poem, in which Leland floats down the Thames from Oxford to the sea in swan-form, doubtless cruising for a Leda to assail. Along the way, cob Johannes passes any number of praiseworthy places, all of which are given Latin toponyms, some authentic and some improvised. So a number of Leland’s toponyms are sheer invention: nonce-words, inkhorn terms. Holofernes stuff. Did the man on the Clapham omnibus ever speak of Westminster as Thornega and Fulham as Volucrum Domus? Did anyone? And Hampton Court? Was it really ever known as Avon? Avondunum? Not outside of Leland at his highest-flown, and Leland’s copyists. I think it may be more useful to ask where it was called “Avondunum.” Not in Ptolemy or Tacitus. Not always in neo-Latin texts, not even by Leland himself. Elsewhere, he called it “Hamptona” and Hugo Grotius, “Hamptincurta.” But it’s “Avondunum” in the later gazetteers, though with an asterisk: "according to Leland." Says he. In his notes on Northampton, Lambarde untangles this: “Leland deriveth the Name of North, and Avondune, as he doth Southampton of South and Avondune: He taketh thoccasion of this Conjecture from the Water theare, which (sayeth he) is truly called Avona, and corruptly Nene.” So Leland puts three Hamptons on three Avons. Which thimble has the pea? Does Waugh ever read any of his sources? (Do the fanzines with footnotes that he writes for ever peer-review his work?) But his mistake—his confusion of Avons—may illuminate what Leland was doing. Etymologies go back to origins; and in the 16th-century world-view, origins are myth. The Welsh afon, the Cornish avon, and Irish abhann all derive from the Old Brythonic abona: river. It’s a common name in Britain, and no wonder. In his Cantio, Leland calls several rivers “Avona.” There’s the Itchen: Attollitque caput venusta Venta, / Quam lymphis gelidis Avona lambit (...and lovely Venta [Winchester] has raised its head, which the Avon washes with its cool streams). There’s the Solent, not a river but a strait: “Fauces Hursta premit minax Avonae” (Threatening Hurst [Castle] covers the mouth of the Avon). “Avona” seems to signify for him any noble British river that he’s celebrating. It’s almost a title, like “Dauphin.” So why not the Thames? And by metonymy, why not Hampton Court? The little hamlet of Hampton near East Molesey was never a fortified place, a dunum. Its name derives from hamm meaning an enclosure in the bend of a river, a water meadow, and tun meaning farmstead or settlement. There was no Roman settlement at East Molesey: it first appears as Muleseg—Mul's island—in the 7th century. Good Anglo-Saxon names, the both of them, like Stratford. There's no Celtic-Roman lineage to celebrate here. And the palace itself was barely thirty years old when Leland immortalized it. Leland’s Henry is a swan, a Jupiter: a myth. He needs a temple worthy of him, with a kingly name: something like Camelot. By re-inventing Floodgrass Farm as Avondunum, Leland is ennobling the place, authenticating Henry’s rule. He’s giving it the lustre of antiquity. By invoking the Brythonic name of Avon, Leland champions the dynasty of Tudor: no longer Welsh upstarts but pre-Roman, of the lineage of Brut. Other, greater antiquarians picked up on his invention. William Camden—Ben Jonson’s beloved mentor, the defender of the Stratford player’s right to bear arms— quoted Leland in his noble book, Britannia. Waugh is ectatic. Camden! But of course, he hasn’t read the book he's citing as evidence. He hasn't even read the page. Once again, he looks only for an instance of his magic word, not seeing that he’s cherry-picked it from an oak. The poet here is Camden himself, quoting from an otherwise lost poem of his own, his own Thames journey. Sutton writes: “One regrets the loss of this poem, its fragments look as if they come from a major work of considerable importance. It is impossible to read them without concluding that Camden wrote his poem in response to Leland’s earlier one, as a kind of corrective." Says Leland. But I say: Hampton Court is Hamptona. Camden taught Ben Jonson Latin. Jonson reverenced him as one “to whom I owe / All that I am in arts, all that I know.” His master was working on Britannia when Ben was at Westminster under his tutelage. How likely is it that the protegé would use Leland’s “Avondunum,” or any form of it, when his master pointedly did not? Ben “would choose rather to joyne” with Camden. And Camden’s gaze was not only on the past: “if I would come to our time, what a world could I present to you out of Sir Philipp Sidney, Ed. Spencer, Samuel Daniel, Hugh Holland, Ben: Johnson, Th. Campion, Mich. Drayton, George Chapman, Iohn Marston, William Shakespeare, & other most pregnant witts of these our times, whom succeeding ages may iustly admire." Like Leland, Alexander Waugh is a creator of lineage, a pareidolater. Shakespeare of Avon built a palace of the mind on Bankside. This offends Waugh’s proprieties: to him, only great men by birth can do great things. So his great invention is a double meaning in “Sweet Swan of Avon.” To the groundling, “Avon” is that ditch in Stratford; to the chosen few—the world’s Waughs— it’s Hampton Court, the scene of Oxford’s poignant triumphs as a hidden playwright. Ben Jonson equivocates (says Waugh). Like Waugh himself, this puppet-Ben despises those boorish readers who cannot read his code. If challenged, Waugh can point to Jonson’s irrefutable great learning. Would such a man use plain words, with such a lovely esoteric crossword clue to hand? How could he have not read Camden’s Britannia? That’s where Waugh wants his critics to attack, and thinks he’s triple-walled his argument in brass. But he's left the back door open—hell, he's all door and no fortress. I see him juggling in a flawless shirtfront with a whacking great coke-bottle emerald as a stud in it—and with a naked arse. Lovely waistcoat. Pity about the scholarship. Because “Avon” here in Ben’s encomium cannot be Hampton Court. Absolutely. And all the plates, oranges, umbrellas, knives come down about Waugh’s ears. So what’s wrong with Hampton Court? Isn’t it magnificent? Can’t you just see Vanessa Redgrave in a farthingale in its Great Hall, enraptured with The Tempest? He airily cites Chambers: whom he cannot have read. Having smashed into a brick wall, our dauntless scholar now backs over a cliff. Here’s Waugh again: “When James I came to the throne in 1603 he chose Hampton Court over all his Royal Palaces as the best venue for dramatic entertainment.” And Chambers: “After the winter of 1603, when plague held him at Hampton Court, [James’s] Christmasses and Shrovetides were invariably at Whitehall.” (v. 1, p. 21) In short, the choice of Hampton Court in 1603-4 was an aberration for James: a contingency plan. If Mr. Waugh wishes to be taken seriously, he needs to stop tailoring the evidence to fit his fantastical theories. James was so taken with the English players, his new toys, that he made them his Gentlemen Servants; they went on appearing in new plays by William Shakespeare, written for his times and tastes, long after the miserable Oxford was food for worms. It was James not Elizabeth who held “festivals of plays”: “The Twelve Nights, with Candlemas and Shrovetide, remained the chief seasons for plays and masks, but the plays were greatly increased in number. One was often given on All Saints' Day (1 Nov.) to usher in the winter, and others were called for at intervals during the winter months.” For his daughter’s wedding to the Elector Palatine in 1613, he commanded twenty plays (seven, possibly eight by Shakespeare)—all at Whitehall. James did entertain his brother King of Denmark with one single play at Hampton Court in 1606—but that was in August, in a summer outbreak of the plague. And there was hunting to be had in the parklands. As for Elizabeth's theatre, what matters is where the court was over Christmas and Shrovetide: no Queen, no plays. And that we do know, all but completely. At Whitehall, most often; otherwise at Hampton Court, Greenwich, or Richmond (in fairly even shares), with occasional sojourns at Windsor. I have checked for performances at Hampton Court in the first three volumes of Martin Wiggins's magisterial British Drama, 1533-1642: A Catalogue, and cross-checked against Mary Susan Steele’s Plays & Masques at Court During the Reigns of Elizabeth, James, and Charles. Elizabeth first kept Christmas there in 1564-5 (not “from 1572”: the hapless Waugh is wrong again). For the decade after 1568, there was a little spate of entertainments— masques and plays—most years at Hampton Court, either at Christmas or at Shrovetide, but not both. If you want to argue that any of these devices were by Shakespeare—say, Timoclea at the Siege of Thebes by Alexander, given by Mulcaster’s Boys, or the Masque of Fishermen (wool to stuff the fish cost 1s)—you have my leave to try. With tears your eyes bedew. Clearly this is Oxford’s audience and his milieu. Had his comedies survived, they would have sounded much like this: the stuff that Shakespeare would be mocking in the 1590s in the Dream. Meanwhile, The Theatre had opened: the second London playhouse and the first to survive. The ground was laid for a new generation of playwrights and their audiences. And Farrant's style, like outmoded fripperies, would be passed down and down, until it ended in the trunks of Quince's men. Fashions change. That Yuletide season was to be the last at Hampton Court for some fifteen years. After that, the court went elsewhere. Lord Strange’s Men gave three Christmas performances in 1592/3; the Earl of Pembroke’s Men gave two. There is no record of Shrovetide plays that year: the plague had flared up again in January, and the players fled. In the curtailed court season the following year, the Queen’s Men gave the sole performance, at Twelfth Night 1594: perhaps of Robert Greene's Orlando—unless it was of Robert Wilson's The Cobbler's Prophecy. I don’t know how the court amused itself. Perhaps they played forfeits. And that's it. 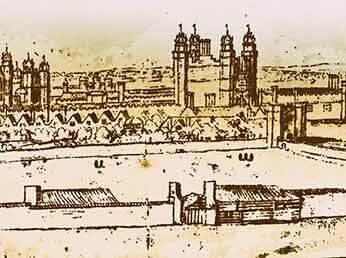 That’s all the theatrical performances recorded at Hampton Court between Christmas 1577/8 and the plague year of 1603/4: just six. The Lord Chamberlain’s Men, founded 1594, could not have played there; though the King’s Men would. Elizabeth herself was at Greenwich, Richmond, or Whitehall for the 1594-1602 seasons. 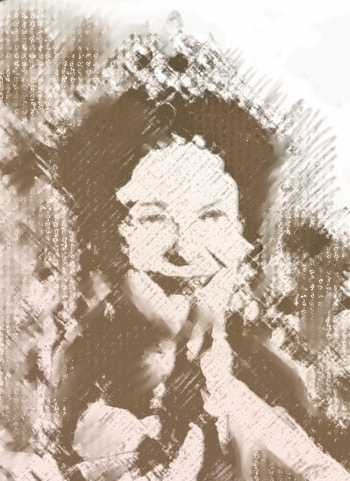 The last play that she ever saw was at Candlemas in 1603—at Richmond. It’s quite possible that no play of Shakespeare's was ever performed before the Queen at Hampton Court. At most there could have been a handful, perhaps two or three of those five plays in 1592/3. Later in that year, the Earl of Pembroke’s Men went on tour with a repertory that included 3 Henry VI, as well as Marlowe’s Edward II. (It was a fiasco: they had to pawn their costumes to get home.) At the Rose, when the plague bills allowed, Lord Strange’s Men had been playing 1 Henry VI, and perhaps Richard III, as well as The Spanish Tragedy, The Jew of Malta, and The Massacre at Paris. Step further back. Observe the whole chronology. The palace at East Moseley— Avondunum, if you will—was favored by Elizabeth for just ten years, 1568-1577. Ten half-seasons: perhaps thirty masques and plays. All past before Bilton-not-on-Avon was sold. From the sailing of the Golden Hind until the printing of the Folio, the revels came to Hampton Court only in plague years: just three times. (And for one performance in a plaguey summer, after a hunt.) It was a deviation, a fallback—and in 1623, a bygone. Who still remembered its brief glory, fifty years back? Who still thought of Philemon and Philecia? Of The Tragedy of Panthea? The Masque of Turks? Not Ben. He’d not yet been born, or was in petticoats and petty school. In 1592-1594, he was a nobody, just back from soldiering in Flanders, in plague-ridden London. His mind was on footholds. His experience of Shakespeare in a courtly setting would have been at Whitehall, overwhelmingly. His own work, both his comedies translated from the public theatres and his courtly masques, had been performed at Whitehall, nearly every year since 1605. Court for him was Whitehall. And what about the Swine of Hedingham? Lord Oxford made no known appearance at Hampton Court, either as a player or presenter of masques, devices, plays, or comedies, 1550-1604. His Boys played three times to the Queen in 1584: twice at Whitehall, once at Greenwich. Even that trainwreck of a shipwreck device he danced in was at Whitehall. Waugh’s brave new Avon is a fantasy. This Swan is no more! It has ceased to be! It's a stiff! Bereft of life, it rests in peace! If you hadn't nailed it to the riverbank it'd be pushing up the daisies! It's cognitive processes are now 'istory! It's off the pond! It's kicked the bucket, it's shuffled off 'is mortal coil, run down the curtain and joined the bleedin' choir invisible!! Let’s read what Jonson wrote. The figure here is of a bird of passage, one native to the Avon, who alights upon "our waters," the Thames. The rivers here are set in opposition: thine Avon, our Thames. And note that “our”: Jonson’s Shakespeare played for all of us on London river. Upon its banks stand Whitehall and Blackfriars, Greenwich and the Globe. Note the transience implied in "yet appeare" and "flights." Appear: "To come forth into view, as ... from a distance." Comets appear. So do actors. Arrows come in flights, swift and gone. As Jonson knew, his friend the poet didn't nest here, but returned to the Avon. Shakespeare of Stratford never made his home in London. The figure is perfectly exact. Jonson took care to make it so: as a grammar-school boy, he'd learned to build sentences. In the next lines, his bird of passage stays; but elsewhere. He is now eternally the Swan of Heaven..
Again, the figure is exact. The spheres enlarge: the wooden O; the earth; the hemisphere. Now the theatre of his brief appearance is the globe itself, this earth; his “flight from hence,” his death. He is Cygnus—and perhaps its neighbor stars, the Lyre: among the brightest of the summer constellations,** flying headlong down the river of the Milky Way, on heaven’s Bankside. †"...quam vulgus Hampton corrupte pro Avondune vocat." (That's "vocat": present tense, Waugh minimus. Now put away that catapault.) Of course, Leland has it backward. The sturdy Saxon mob had always called these places (there are many) "Hampton"; it was the neo-Latinists who twisted "Hampton" into "Avondunum." The science of linguistic change would await Grimm's Law. †† Or one of them, anyway. Humphrey Llwyd, in his Breviary of Britayne (1573) calls both Northampton and Southampton "Avondunum," indifferently. 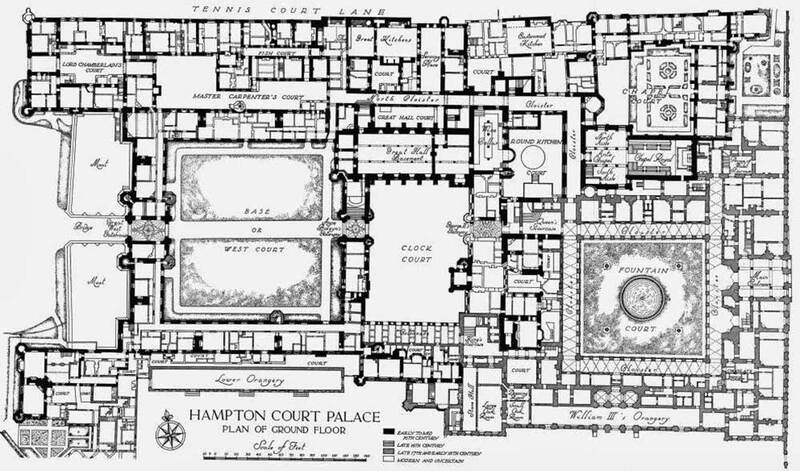 ††† Waugh claims that in Swan Song, Leland called “Hampton Court ‘Avona’ no fewer than five times.” Twice. (But who’s counting? Not Waugh.) The two other Avons named are rivers, both near Southampton. And the fifth is imaginary. ††††Waugh believes that Henry Peacham alludes to Hampton Court in his Minerva Britannia (1612) as "AVON courtes." He cannot have read what Peacham wrote: "Or where along doth silver SEVERNE slide, / Or AVON courtes, faire FLORA in her pride." The comma may baffle the grammatically unschooled, but Peacham’s meaning is clear: he’s comparing rivers. Severn slides and Avon courts fair Flora: the river woos the flowery bank. “Courtes” can only be a verb. Huius in suos candour egregious"
Here’s a book in his binding. appropriate to a star that is linked with a river. depicting Queen Elizabeth, King James and the Earl of Oxford as they enjoy an Early, bankside version of Evita. Another great Oxfordian discovery, waiting in the wings to transform orthodox scholarship. Whitehall: all 23 acres of it.